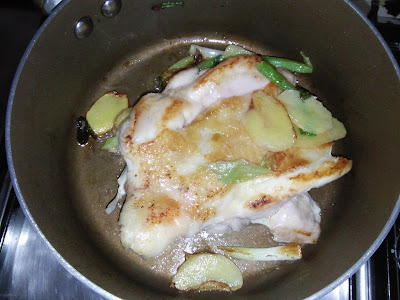 Another easy and simple chicken dish. 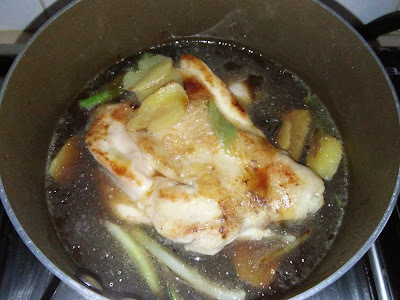 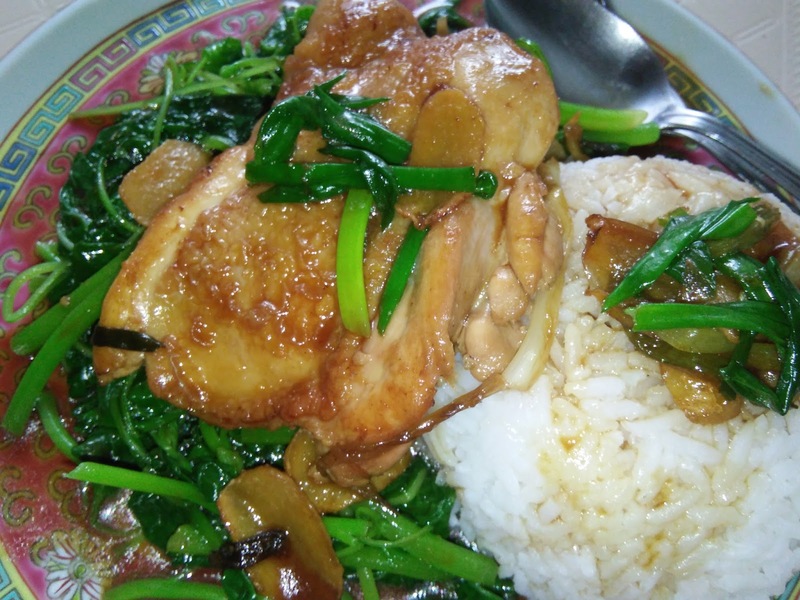 Great soy sauce chicken to serve with blanched vegetables and a bowl of rice. 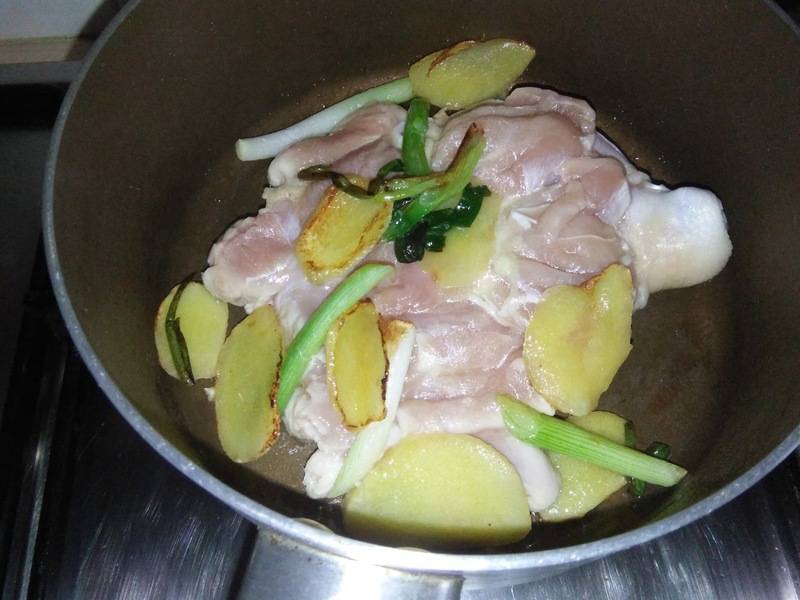 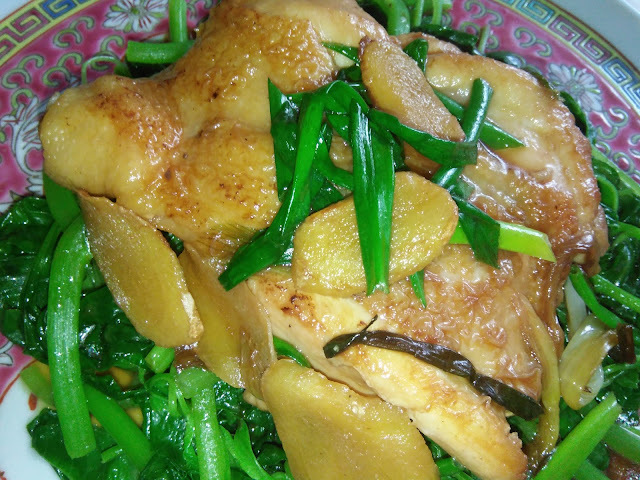 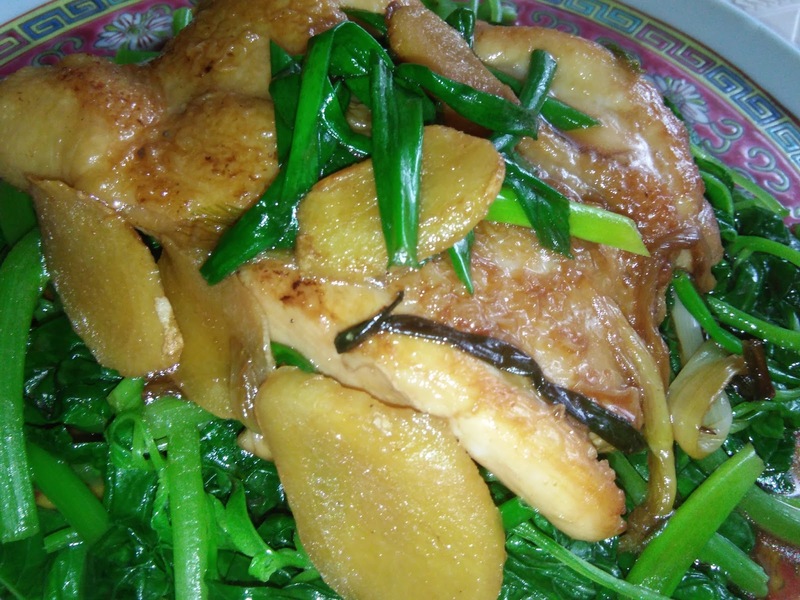 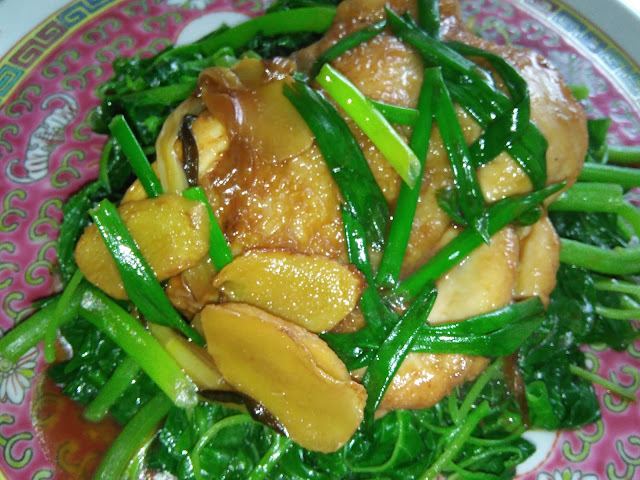 The spring onions are naturally sweet and fragrant sliced ginger blend well the meaty chicken whole leg. 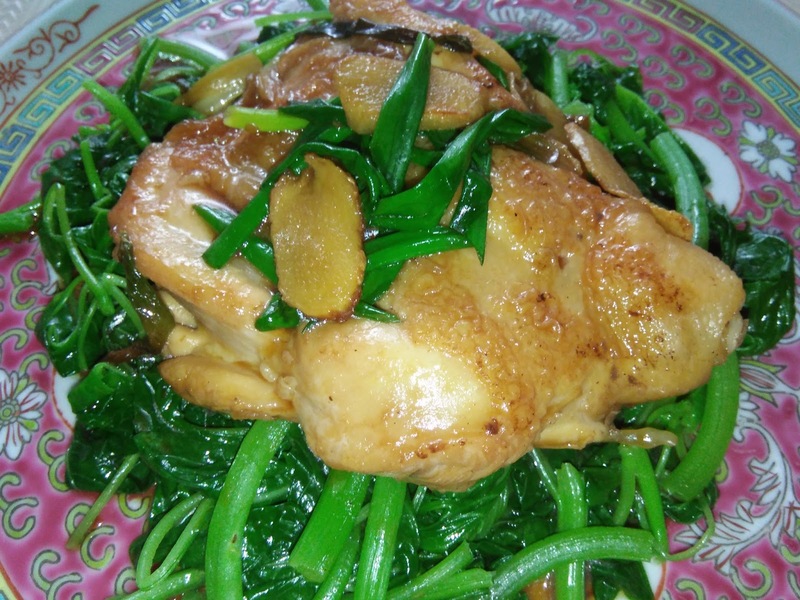 Without much seasoning the chicken meat retains it natural sweetness and succulent though braised. Awesome dish which I would love to prepare often. Heat a non stick pan with a teaspoon oil, saute ginger slices and some spring onions until aromatic and lightly brown. Push aside, put in the chicken whole leg [skin side down] to brown over medium high heat, cover to cook. 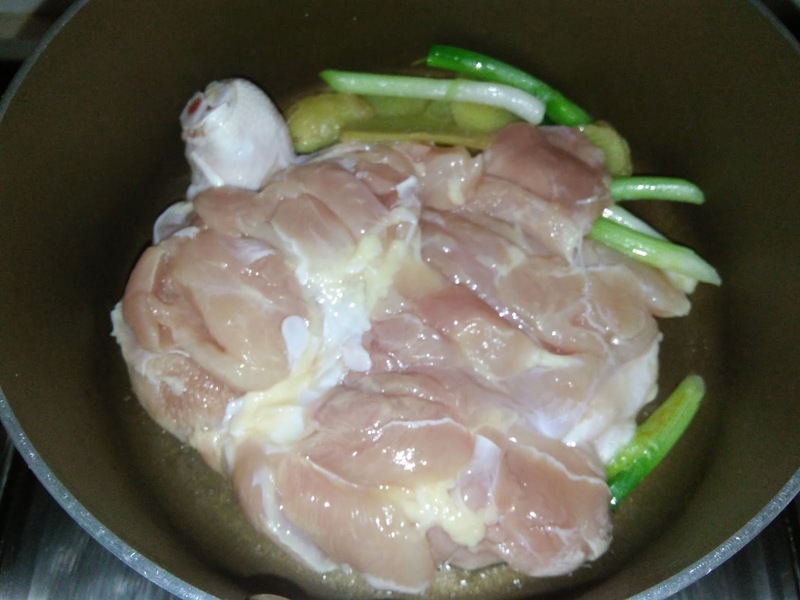 Remove cover, flip over chicken and fry meat side for several minutes. 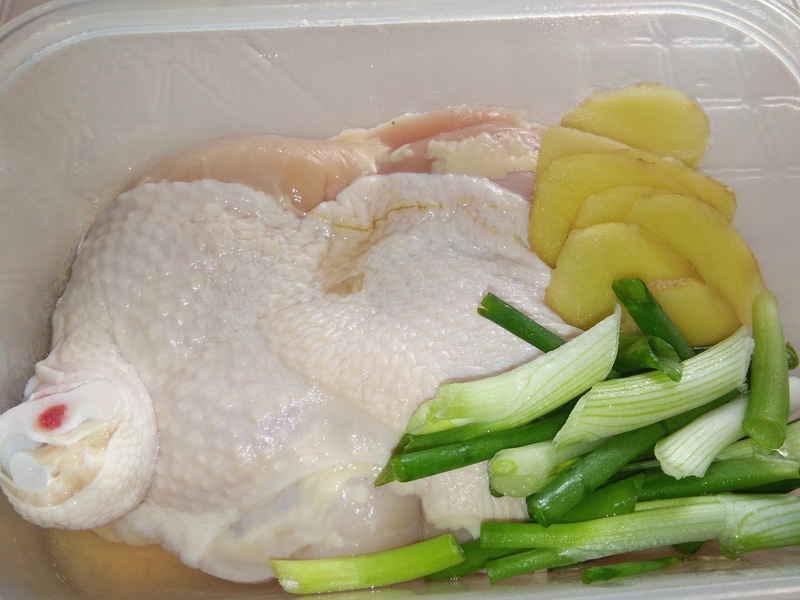 Flip over again before adding seasoning and water [enough to cover chicken]. 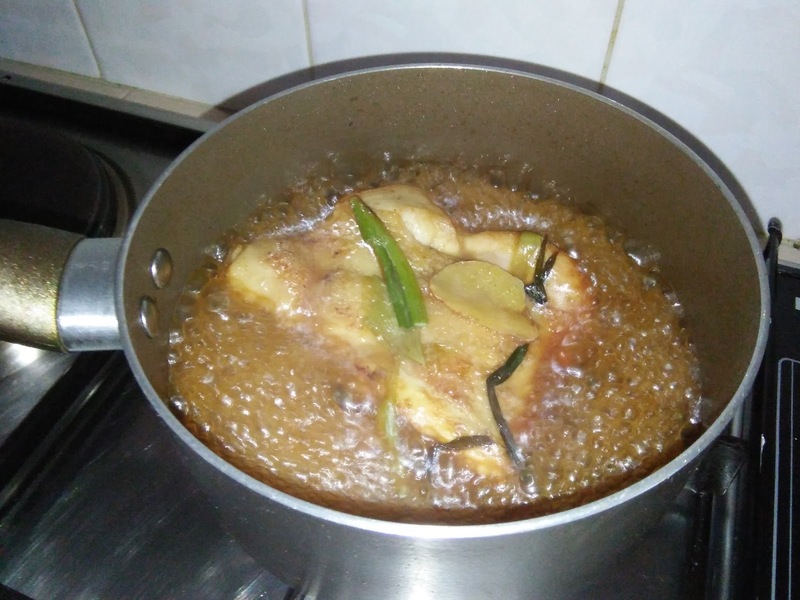 Bring to boil and simmer until chicken is cooked through and sauce is thick. 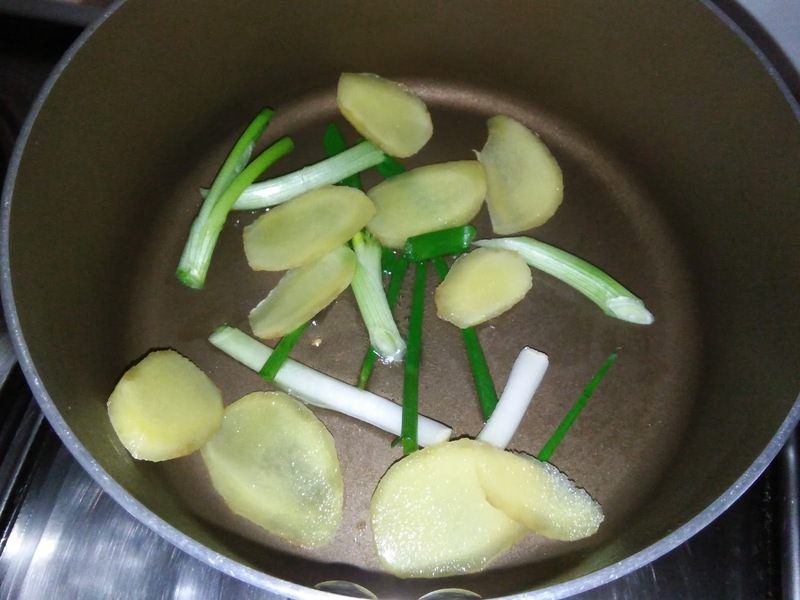 Lay serving platter with blanched vegetables. 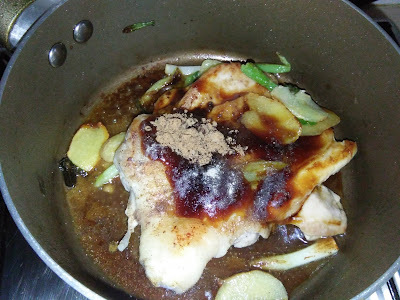 Put braised chicken on top vegetable and spread sauce over chicken. Serve immediately with a bowl of rice and separately.